Looking to add another Ambre Blends product to your arsenal? 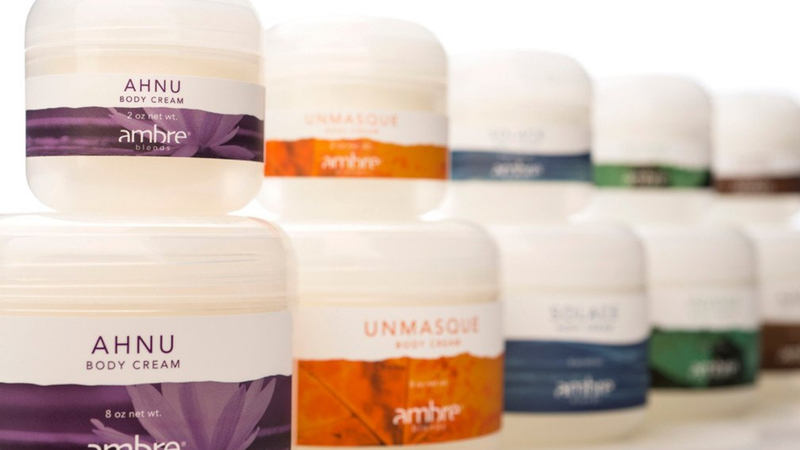 No matter what your skin type, you’ll love Ambre Blends Body Cream. This soft and supple cream is recommended by dermatologists for many common skin ailments. Use Ambre Blends Body Cream simply to hydrate your skin or to heal it from sunburns, eczema and other skin disorders. Our Body Cream is a gorgeous mix of ingredients with the added bonus of our four essences. At first, you will smell the raw, organic, healing ingredients, such as coconut oil, raw shea butter, sunflower seed oil and sweet almond oil. These ingredients are very strong and potent (raw and organic), but once rubbed and soaked into your skin, our essences come to the top to radiate. As always, our Body Cream is paraben-free so that you know you’re feeding your skin safe, nontoxic ingredients. Although our essences are one of the main ingredients, you may not smell it out of the jar, simply because they are not synthetic scents. Available in all four essences, you’ll notice that the scent radiates off of your skin. We have found that the Body Cream is a great product to layer with any and all of the other Ambre Blends products. Most times, we just wear the body cream and get tons of compliments! 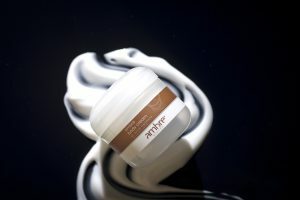 Ambre Blends Body Cream comes in two sizes, 8.5 oz or the 2 oz travel size (air travel approved). When you buy the 8.5 oz jar, you get over a 35% savings and you can use it to refill the travel jar. The 8.5 oz jars contain nearly 20 ml of oil essence inside! For best results apply after shower from neck to toe. You’ll notice that it glides on like silk and provides a great base to layer on other Ambre Blends products. For a power-packed skin smoothie, put some body cream into the palm of your hand, make a well in the middle and add two pumps of Ambre Blends Skin Tonic. Mix together and use on your body all over for protection and to seal the dermal layer in with moisture and nutrients. Watch this video to see how we mix the two products together.